Grew up… in Portland, Ore. In her heart, though, Jess has never really grown up. At 31, she’s a relatively responsible adult, but she still retains a wide-eyed attitude toward the world. Profession… schoolteacher. Jess loves to inspire young children and watch them grow. She’s also the leader of the school’s handbell band and hosts practices in the apartment, which never fails to annoy her roommates. Challenge… getting over her ex-boyfriend and making a new life for herself. Jess is just trying to make sense of life in her 30s. Personality… quirky, fun, and sweet. Jess is always willing to look at the bright side of any situation. But at the same time, she’s not afraid to be herself, even if it means that it sets her apart from the group. 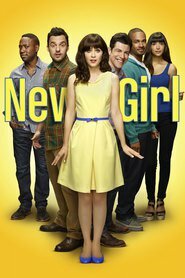 Jessica Day's popularity ranking on CharacTour is #169 out of 5,000+ characters. See our top-ranked characters and read their profiles.